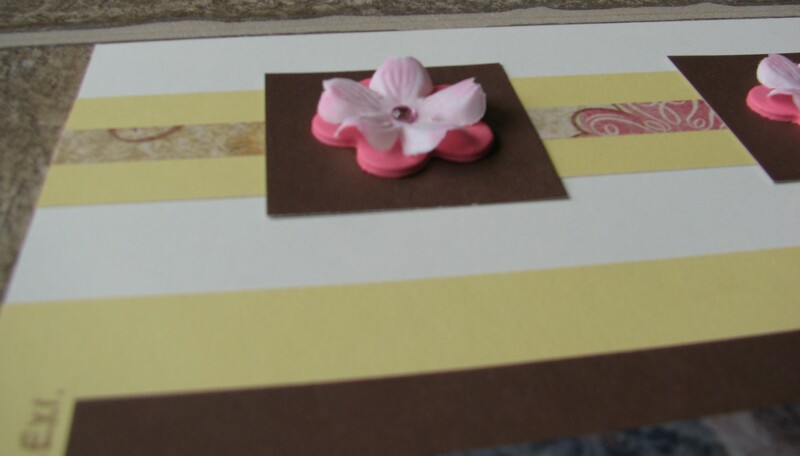 I made my own 3D embellishments by layering flowers and chipboard, then added a gem on top for a bit of bling. Simple, yet beautiful! Lexi was her first Webkin. Supplies used: CTMH Sonata paper and cardstock (Buttercup, Colonial White, and Chocolate), unknown chipboard letters, flowers, and flourishes, MM paint, pink flowers from a rummage sale, Precious Finds adhesive gems by EK Success, and CTMH Chocolate ink.